I need help with taming a rabbit. Our last rabbit died recently, my son wants to get another, but I'm not so sure. Our last one wasn't really very tame, and was difficult to handle. If we were to get another one, how can we make sure it's easy to handle? The first thing to do is let him get used to his cage for a few days. While he is getting to know his new house spend time around him. To tame a rabbit you will need a lot of contact with it. Try to spend as much time as you can stroking it and feeding it from your hand. That way he will learn that the experince with you is a good thing. Sometimes when you pick him up he will try to get away and even bite. But don't let him go away, show that you are "the boss". Of course -- be gentle. Rabbits have a lot of character and they are all different. 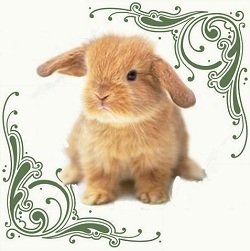 Playing with it, while being gentle but firm, will be a very good road to a tamed bunny.